Interest rate cuts and credit growth have injected vigor and strength into Vietnam’s financial market recently. All state-owned commercial banks cut lending interest rates by 1 percent to 13 percent per year May 1, and many other commercial banks quickly followed suit. LienVietBank said it has cut negotiable lending interest rate on short-term loans in VND by 0.5 percent per year while providing customers with good credit an additional 0.5-percent cut. Dr. Nguyen Duc Huong, LienVietBank's standing vice chairman, said the current trend monetary market watchers were seeing was commercial banks reducing lending rates to attract customers with good credit and efficient business operations. Many other commercial banks told SGGP that they were considering cutting operating expenses to lower lending interest rates, especially for short-term loans. Banking experts said that the trend could send most lending interest rates 0.5-1 percent lower this month than those in late April. Dr Cao Sy Kiem, chairman of the Vietnam Association of Small and Medium Enterprises, told SGGP the drop in interest rates had not yet bottomed out. Currently, lending rates on medium and long term loans remain high, at 14-14.5 percent per year, even 16 percent at some banks. At a recent monthly Government meeting in April, Prime Minister Nguyen Tan Dung instructed banks to lower lending and deposit interest rates to 12 and 10 percent respectively this year. Dr. Nguyen Ngoc Bao, head of the Monetary Policy Department at the State Bank of Vietnam (SBV), said the central lender was planning to adjust interest rates in line with the Prime Minister’s instructions. 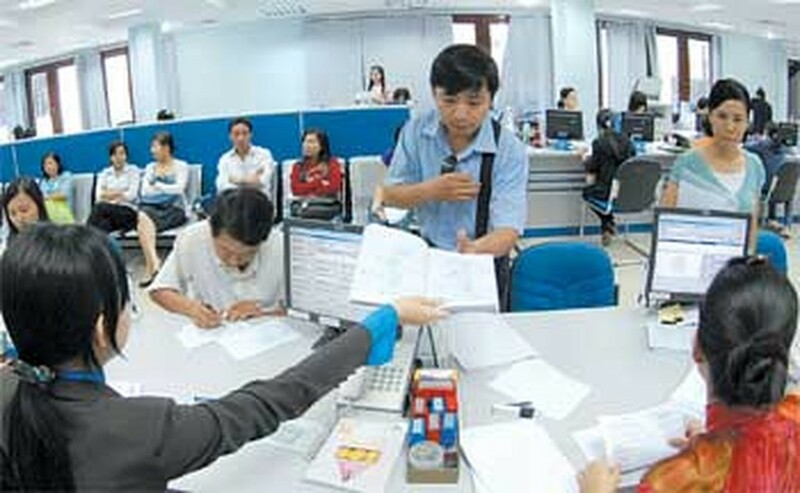 Duong Thu Huong, general secretary of the Vietnam Bankers Association, said the lending interest reduction should be carried out gradually, since many banks had previously received deposits at higher rates than current ones. Deposit rates at commercial banks are now 11-11.5 percent, down 0.5-1 percent from late April, according to the SBV. Ms. Huong pointed out that deposits would increase only once deposit interest rates are higher than the inflation rate. “Whether commercial banks can further lower deposit rates in the future depends a lot on the inflation situation,” she said. After a slowdown in the first quarter of the year, overall credit growth has recovered, the central bank said. In April, credit expanded by 1.73 percent from March, with credit in VND expanding by 1.41 percent. Compared to late last year, credit has now grown by 5.58 percent, meaning commercial banks can boost lending in the months to come, the state lender said. After nearly a month-long slump, the selling price of US dollars at commercial banks has recovered. Over the past two days, a dollar has sold for VND19,060 at Vietcombank. However, on the open market, the rate was lower, at VND19,010. Along with the recovery of USD price, it has been rumored that the central bank will soon adjust the forex trading band. Talking with SGGP yesterday, central bank governor Nguyen Van Giau said the rumor was groundless. “The foreign exchange market is now stable and we have no plan to adjust exchange rates,” he confirmed.